Tyler Perry took time away from his Madea farewell stage tour to fly from Oakland—where the show opened with 5 sold-out nights—to Miami, where he delivered a closing message of hope for young creatives starting out in the television industry. The “Living the Dream: A Career in Content” conference was a first for the National Association of Television Program Executives who wanted to center the inaugural event around a program of education and the development of networking connections for budding creatives, those in entry-level industry positions, and film and TV school students. Perry marked MLK Day by sharing his inspirational journey and imparted hard-earned wisdom compiled from a lifetime of lessons learned. “I am living proof that it can happen,” Perry said of success in entertainment. “Even when the people who love you try to hold you down sometimes. Dream for yourself. Work, work, work, work,” Perry said. He left the audience with a number of useful tools including how to focus on your brand. 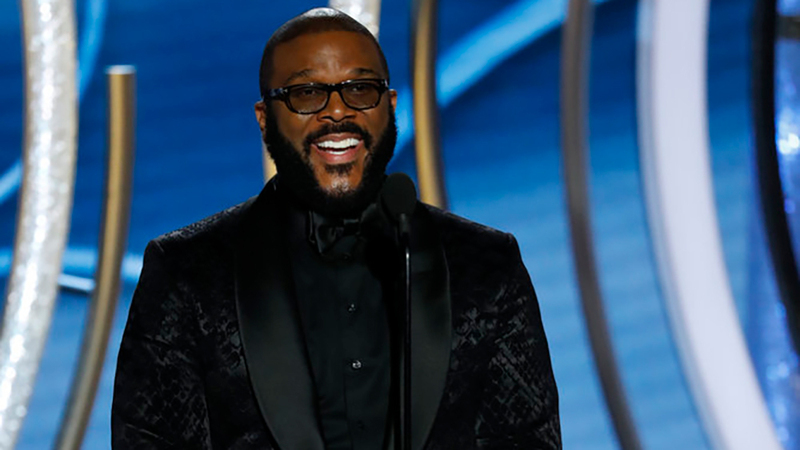 Tyler Perry’s now famous moniker wasn’t always a household name, but his deliberate choice in 2005 to add it to every title he produced beginning with the film “Tyler Perry’s Diary of a Mad Black Woman,” has done a lot of the heavy lifting in building his globally recognized brand. You can read the rest of his lessons here.